To me it means overcoming obstacles that obstruct your mission, your goal, your purpose. It is your ability to succeed in the face of adversity; it is your power to be adaptable, strong, and tough. 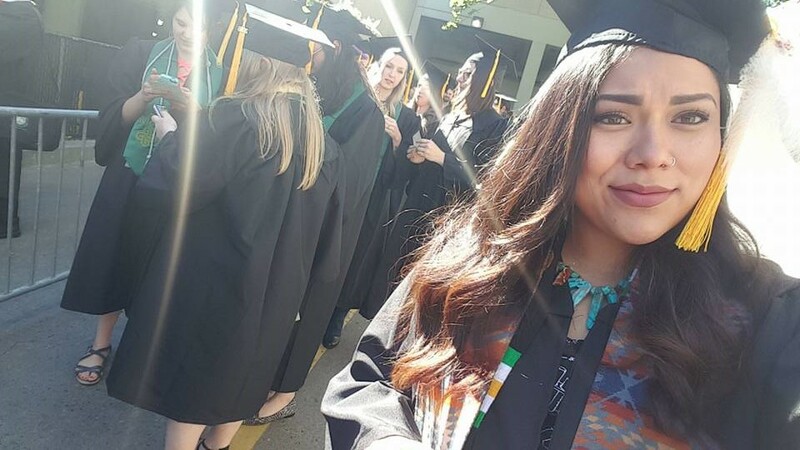 I am of Mayan and Navajo decent and the first in my family to pursue higher education. 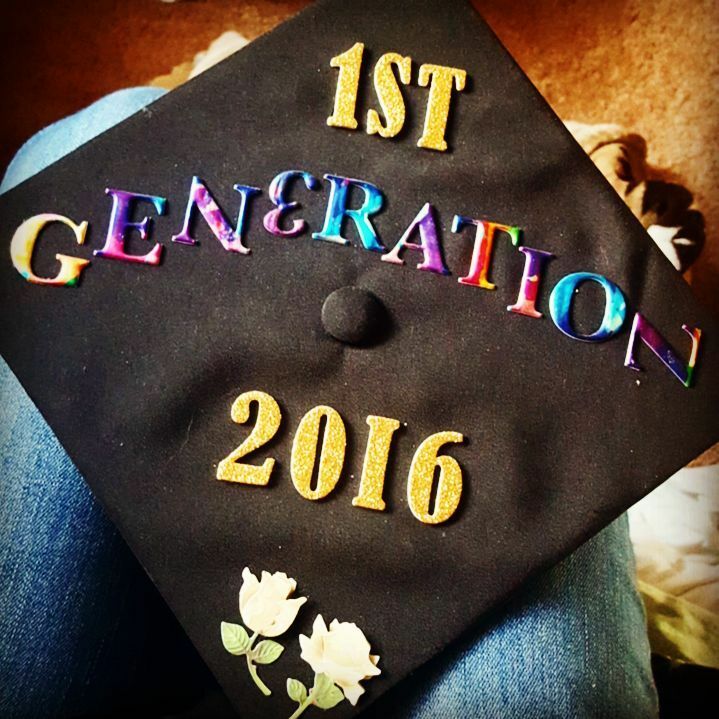 Being a first-generation student is a great honor and privilege, and it has not come easy. I realize that resilience is what I must embody to achieve my goals. 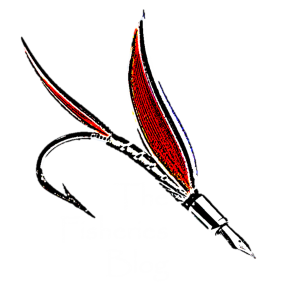 When reflecting on my journey, I am reminded of the elder: the Pacific Lamprey. Pacific Lamprey are migratory anadromous fish with an ancient lineage to the past. Their numbers are dwindling, and the obstacles they face on their upstream journey are not easily surmountable. Having worked with Pacific Lamprey while I pursued my undergraduate degree, I realized that today’s Pacific lamprey are a product of millions of years of persistent ancestors who lived before, during, and after the demise of so many others, including the dinosaurs. No matter the struggle, Pacific Lamprey have pressed on. 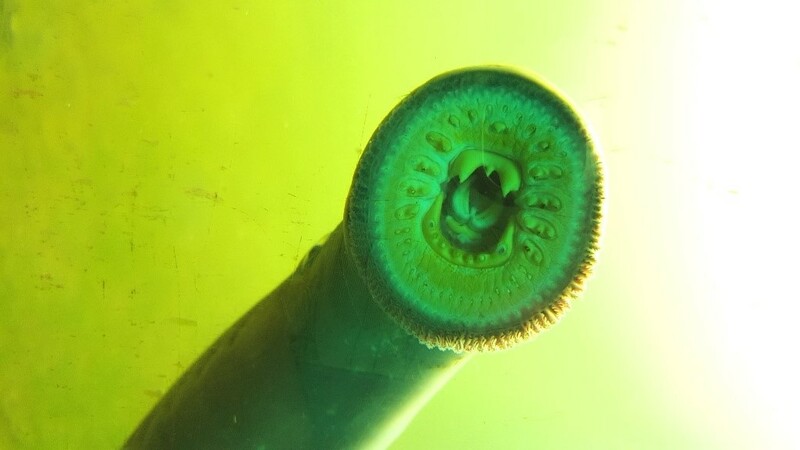 If resiliency is the ability to persist and continue towards your goals and purpose in the face of obstacles, then I too must be like the Pacific Lamprey and be persistent even in the most difficult of conditions. With time, I have come to think of myself as resilient. Pursuing an undergraduate degree is one of the most difficult things I have decided to accomplish. There were times in which I felt myself become unmotivated, unsatisfied, and incapable of continuing. I have struggled with severe depression, anxiety, and insomnia, to the point of what felt like madness. My resilience and ability to push on was buoyed by the love, support, and encouragement of my mentors, family, and closest friends, without whom I would not have been able to overcome even the smallest of obstacles. 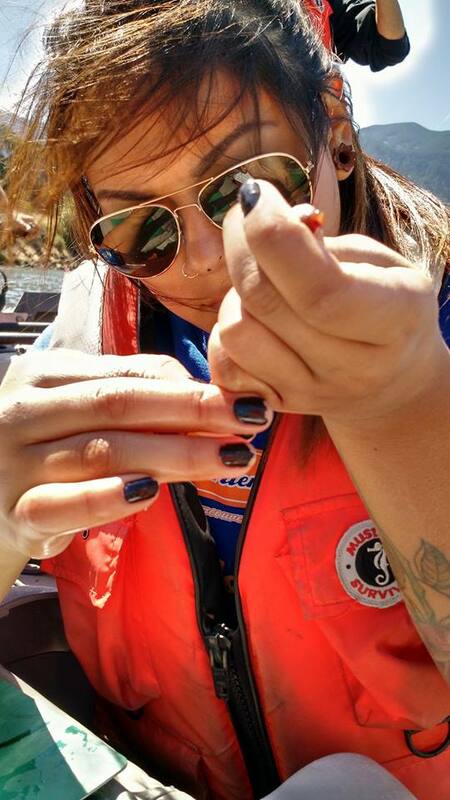 Many of the select few researchers who focus on ensuring the future of Pacific Lamprey are also the ones who helped lift me up in my times of greatest need. After my first year of school it became abundantly clear that to ultimately succeed, I needed experience in the field of science, but I also needed to maintain a job to support myself financially. I was fortunate to receive a PATHWAYS internship with the U.S. 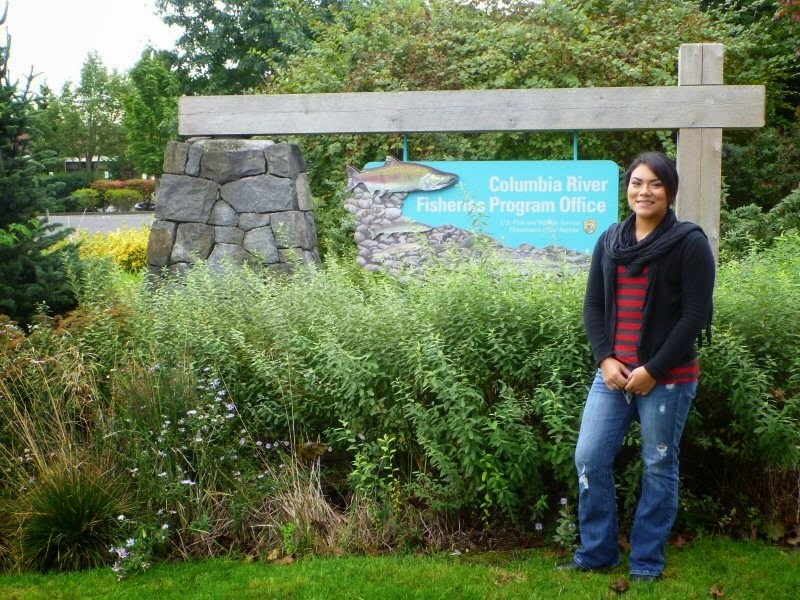 Fish and Wildlife Service (USFWS) at the Columbia River Fish and Wildlife Conservation Office in Vancouver, Washington as an office clerk. Although my dream job did not consist of shredding paper and booking travel arrangements, I took the opportunity with outstretched arms. While performing office duties, I would ask questions to those around me about their research while making them aware of my ultimate goals. This was my foot in the door into a biologist’s world, and alas, the opportunity paid off. 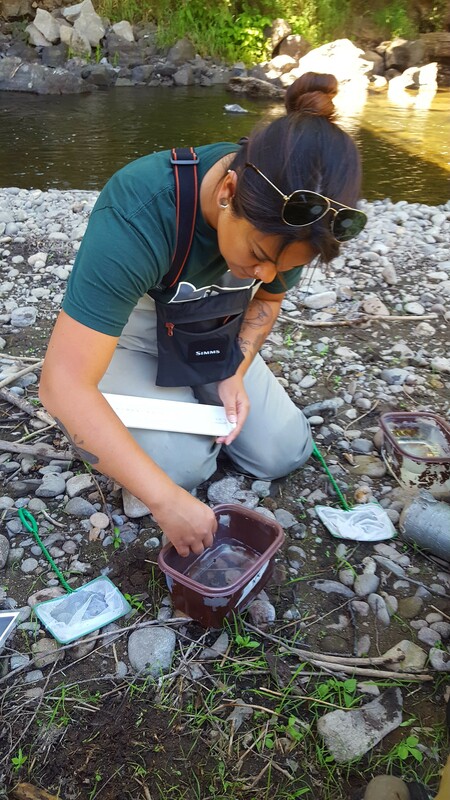 Over the 5 years working with USFWS, researchers gave me the opportunity to research the feeding requirements of Pacific Lamprey, to capture them in streams and rivers with electrofishing equipment (a common method of catch and release field sampling), and research their upper thermal tolerances. The researchers at USFWS supported me and gave me the opportunity to present our research at professional conferences, publish in a peer-reviewed journal (2015 and 2017), and meet wonderfully brilliant scientists who became my biggest advocates and mentors. To this day, when I look back on some of my gloomy dark and rainy Pacific Northwest days spent at the library cramming for calculus and chemistry, I am not sure how I pulled through…but I did, and it was because of my resilience combined with the support of others. In the Spring of 2017, after 6.5 long years, I graduated from Portland State University (Portland, Oregon) with a bachelor’s degree in Environmental Science. Fast forwarding to the present, I write this from a cozy coffee shop in Lewiston, Idaho after my second day teaching middle school and high school students on the Nez Perce Reservation. 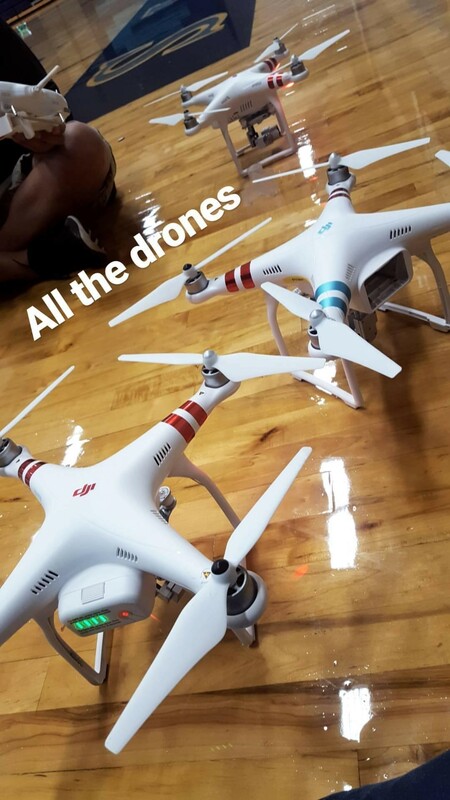 As part of my master’s program at the University of Idaho, I am teaching students on the Reservation how to fly Unmanned Aerial Vehicles (UAVs), AKA drones, to help them gain a sense of place and purpose. 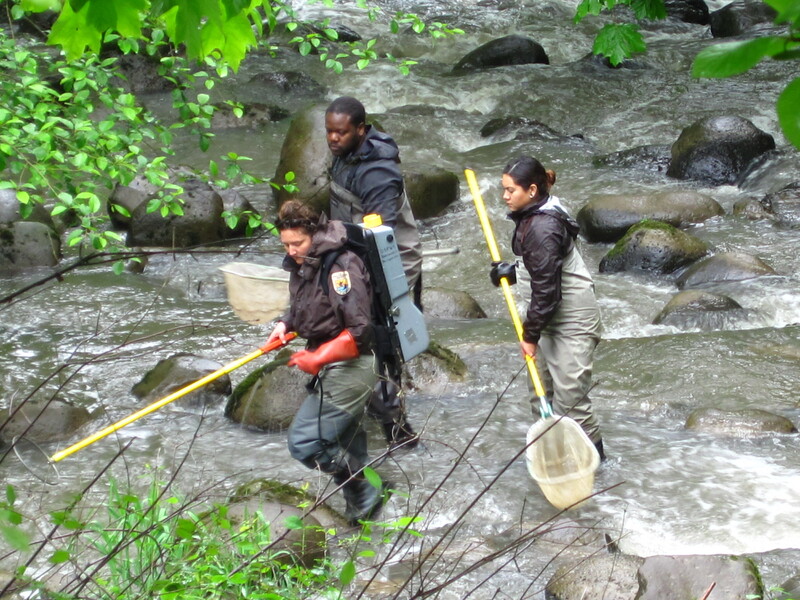 Much like how Pacific Lamprey lay down a scent trail to guide the way for future generations to find optimal upstream habitats, I have discovered how to help the next generation of scientists become leaders. I am currently one of two graduate students participating in a National Science Foundation (NSF) funded project to build Science, Technology, Engineering, and Mathematics (STEM) identity in Native American Students as I pursue a M.S. in Natural Resources with a graduate certificate in Environmental Education and Science Communication at the McCall Outdoor Science School through the University of Idaho. I know that there are obstacles ahead that I must overcome, but I have learned how to be resilient and continue in the pursuit of my goals and purpose. 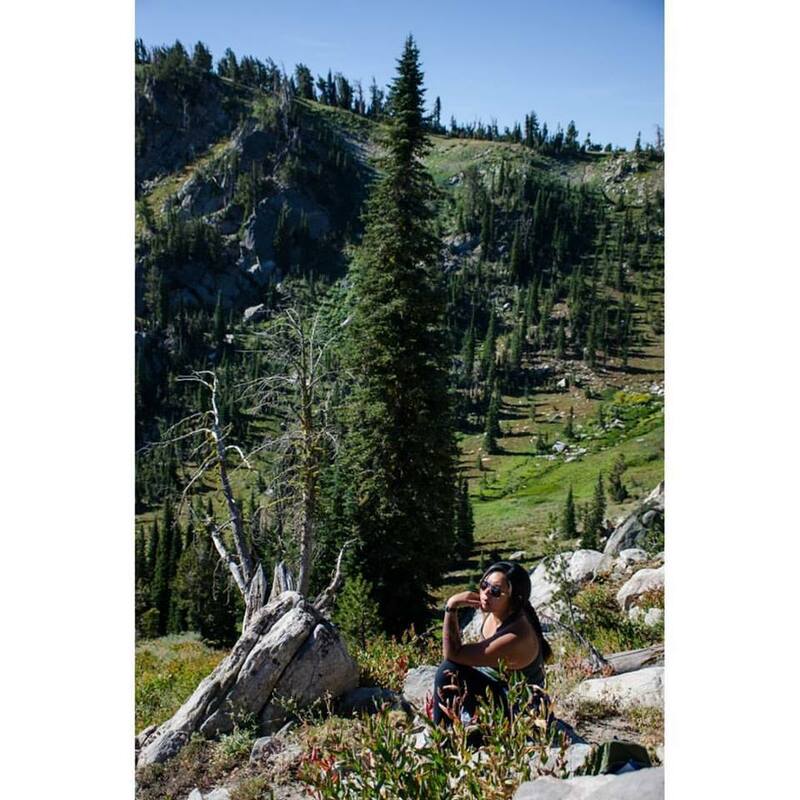 I live in a yurt full time, on campus, with all of Idaho’s stunning backcountry as my playground. My cohort consists of incredible students from across the country and my advisor and professors are all top-notch. Leaving the comforts of my friends, family, and supporters in Portland, Oregon was challenging, but my journey continues, my resilience persists, and life is good. As I wrap this up, I remind you, that my journey sounds great when it is all laid out like this in words. However, it was the ability to accept support and be resilient through some of the most negative moments of my life that I achieved what I have. I share this with you because I want you to know that I believe in you. I want you to know that there are others like you -individuals who identify with underrepresented, minority groups, who struggle with mental health, who are first-generation students, who are children of divorced parents, those who come from poverty, and those who have felt like giving up over and over again. We stand with you. I stand with you, and I can’t wait to see what you accomplish. What a wonderful and important article to be shared. Christina is an inspiration and is on the journey that will lift people up to overcome. Everything she does she does with commitment and pride, no task too small or big, just another learning experience. Stay strong. Hi Christina! It’s wonderful to hear of your endeavors and accomplishments since graduating from PSU! Your story is inspiring. I hope you will share it with our current students as a successful alumna! Thank you, Christina, for sharing your powerful story.